Tight Tuck Headers solve many problems associated with engine swaps in modern street rods. Tight Tucks fit in the tightest of engine compartments and clear all stock motor mounts. Applications include Buick, Cadillac, small and big block Chevy, small block and Flathead Ford, and Mopar. 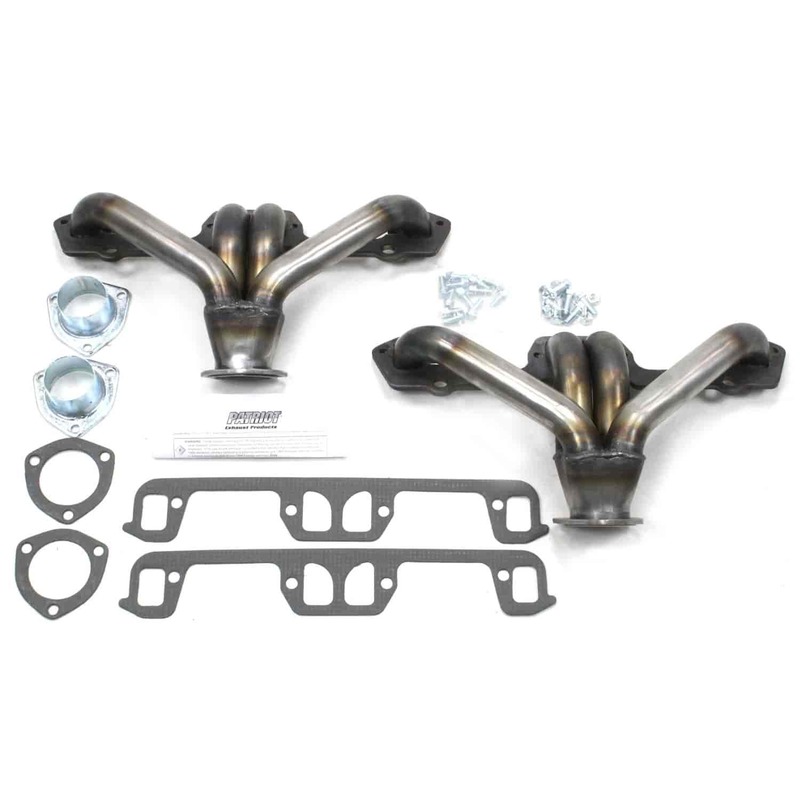 Most headers use 16-gauge steel tubing and come complete with gaskets, header bolts, and collector reducers (excluding #737-H8019). Available in three finishes: raw for customization, chrome for show-quality shine, and metallic ceramic for durability.